MG is the latest car maker to add a stylish SUV to its ranks. But, is it any good? 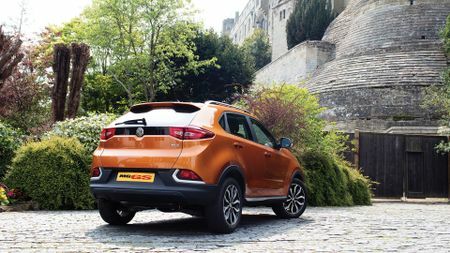 The MG GS is flawed in pretty much every area; in some cases only slightly, but in some cases catastrophically. Yes, it’s a good-looking SUV with generous space and decent equipment for an affordable price, but it’s not alone on that score. We’d point you towards one of the GS’s more rounded – if not quite as generously equipped – rivals instead. 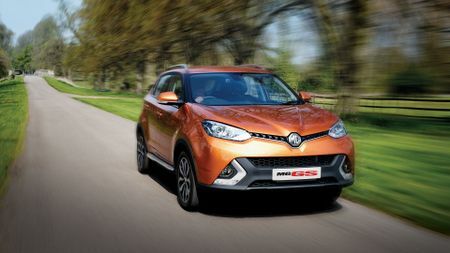 A mid-sized SUV that MG hopes will bring significant growth to UK sales figures. And it might just. Why? Because SUV sales are booming at the moment, and the prospect of a low-cost offering, that still has all the style of its rivals, will be very appealing for a lot of buyers. Make no mistake, the GS is very much an SUV rather than an off-roader. Despite its rugged looks, it’s offered exclusively in front-wheel drive format and there are no plans to introduce four-wheel drive. Still, as most SUV buyers are only after the style, that’s no bad thing. In size, the GS compares with the likes of the Nissan Qashqai, Mazda CX-5 and Kia Sportage, but on price, it compares with smaller SUVs like the Nissan Juke and Renault Captur. 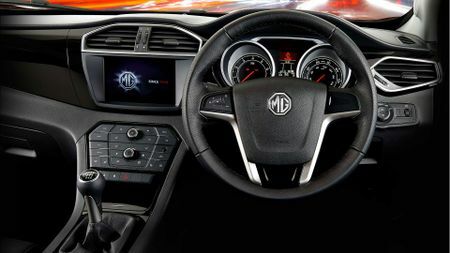 Question is, should you spend your money on the MG rather than one of those? Climb into the GS, and you’re immediately aware of the car’s budget status, because the materials used in most parts of the cabin are hard, shiny and unappealing. The large slabs of piano black panelling do help liven things up a bit, but it’s not enough to overpower the low-rent feel. Ergonomically, too, the GS is a mixed bag. The touch-screen works quite well, with reasonably sharp graphics and menus that are logical enough; and, the buttons on the dashboard are also big and clearly marked. However, there are too many of them to be able to pick out the one you want at a glance, and you’re further confused by the fact that there’s no visual differentiation between the ones that work the air-con and the ones that control the infotainment system. In fact, wherever you look inside the car, there’s a confusing mix of positives and negatives in every area. The driving position is widely adjustable and has that commanding view that SUV drivers love, but the rear visibility is abysmal due to the thick rear pillars and a screen that’s small and steeply angled. There’s loads of space in the rear seats, but because the seat is set so low to the floor, you feel like you’re sitting with your knees up around your ears. 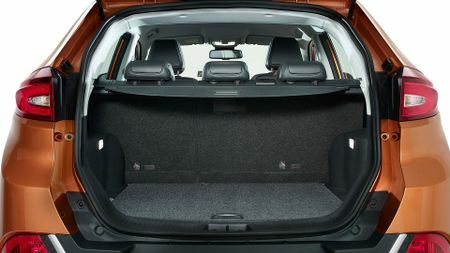 The rear seats fold down in an ingenious way to leave you with a perfectly level cargo area, but the boot actually looks pretty small in its normal configuration and the opening is awkwardly narrow. Get to the way the GS behaves on the road, and things become rather more consistent. Sadly, they’re consistently negative rather than consistently positive. All GS models are powered by a 1.5-litre petrol engine that, despite having a turbocharger, feels exceedingly flat below 3000rpm, so you have to flog it for all it’s worth to get any meaningful urge. Even when you do, the performance doesn’t feel anywhere near as strong at the given output figure of 164bhp suggests; and, although the engine stays reasonably smooth, it starts to sound quite strained. The engine’s shortage of flexibility also means you have to keep busy with the six-speed manual gearbox, which feels very notchy and tight as you shift up or down the ratios. Although the suspension isn’t too bad at absorbing big bumps and ruts, the ride and handling balance of the car isn’t up to scratch, either. It really struggles with small, high-frequency imperfections and, since much of the UK road network is covered by rippled and patchy surfaces just like these, life is going to feel unsettled for a large proportion of the time. The ride doesn’t improve much on the motorway, either, and on more undulating roads, the body gets tossed around a fair amount. The body control doesn’t feel quite so loose when you’re tackling a bend, with decent suppression of lean, and the level of grip feels pretty decent, too. However, the steering isn't so good, with a massive dead spot around the straight ahead – you need to put on more than an eighth of a full turn before anything really happens – which can be very disconcerting indeed. One you push through this, the steering actually offers some decent feedback and a meaty feel, but on the exit of a bend, the wheel’s reluctance to self-centre can catch you out. That much depends on your priorities. Sure enough, the GS can’t come anywhere close to the dynamic standards set by the best – heck, even the average – cars in the class, and it has some pretty fundamental flaws in a variety of other areas, too. However, if all you’re after is that look and a generous slice of standard kit for an affordable price, it might be worth a look. But, even that comes with a caveat. The standard kit is indeed generous, but only if you avoid the entry-level Explore model. Sure, it comes with alloys, air-con and cruise control, but it misses out on basics like remote locking, a DAB radio and Bluetooth. To get these (along with climate control and a rear parking camera) you have to upgrade to Excite trim, and that hikes the price from £14,995 to £17,495. At that sort of money, a range of other very talented rivals comes into play, albeit with less kit. So, you pays your money, you takes your choice. If you fancy splashing out £19,495, then the Exclusive model gives you heated and powered leather seats, sat-nav and xenon lights, plus the option of adding a seven-speed twin-clutch gearbox for another £1500. We haven’t tried it yet, so we don’t know if it’s any good, but even if it’s amazing, we could never recommend spending £20,995 on a GS.